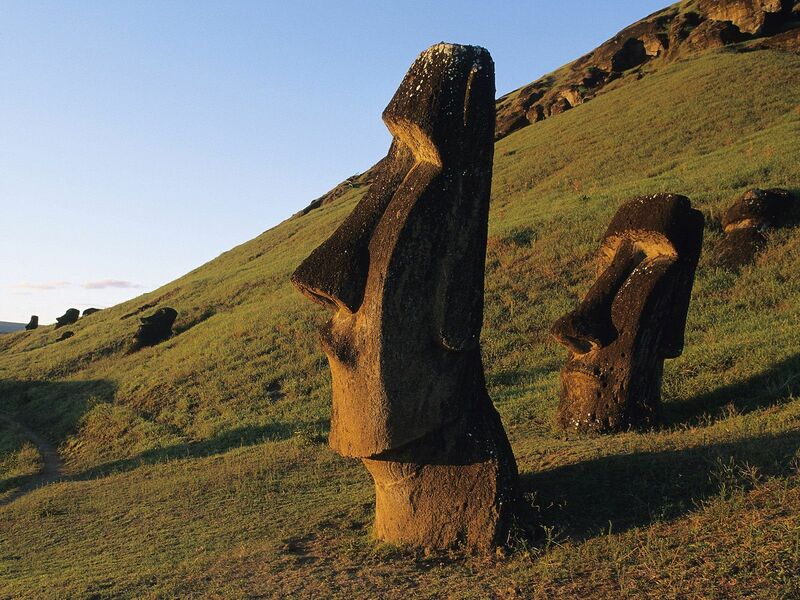 Moai at Ahu Tongariki in Easter island (Rapa Nui), Chile. 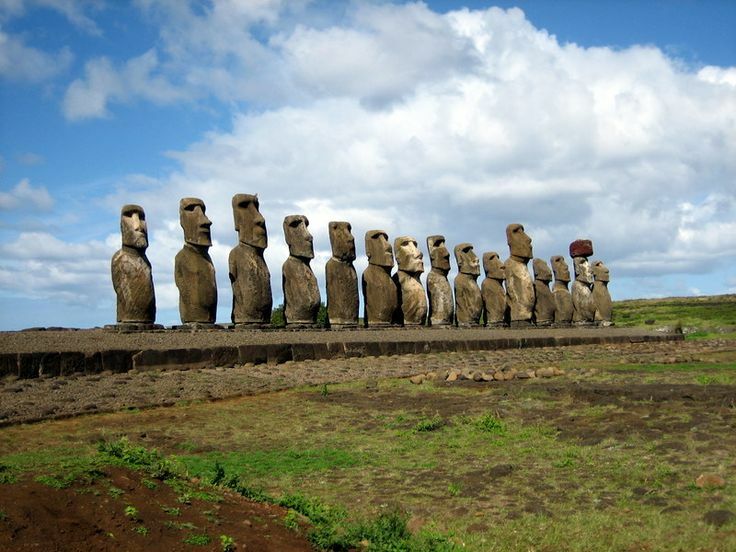 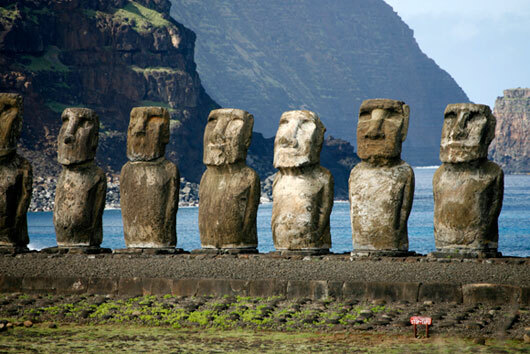 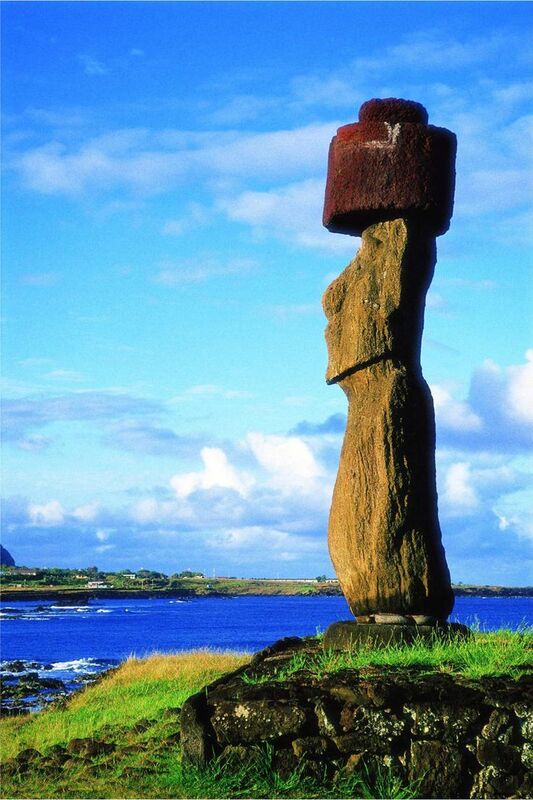 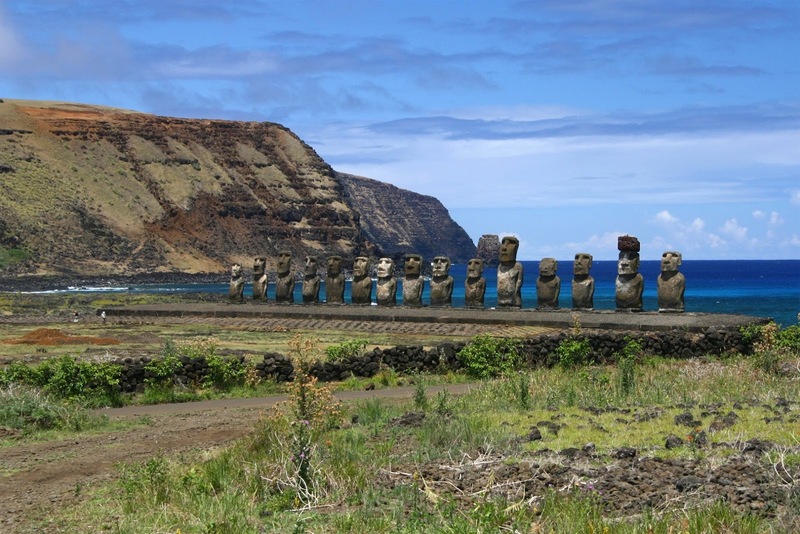 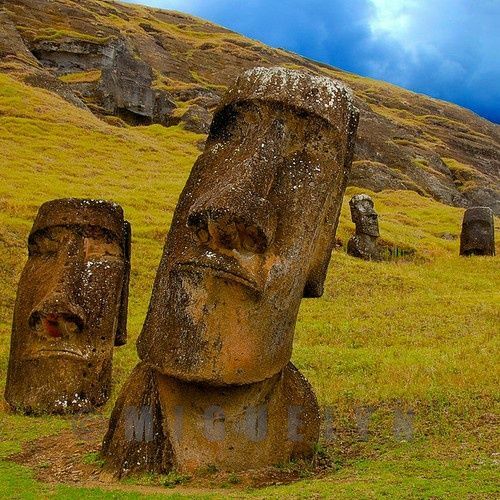 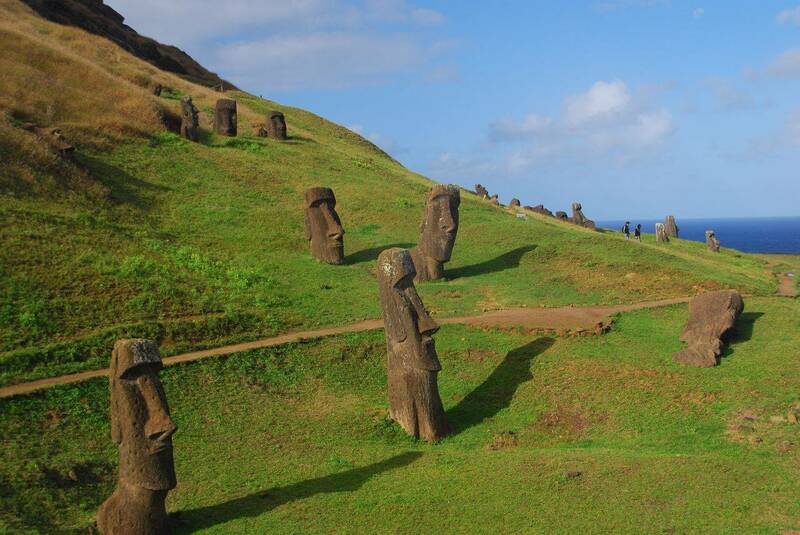 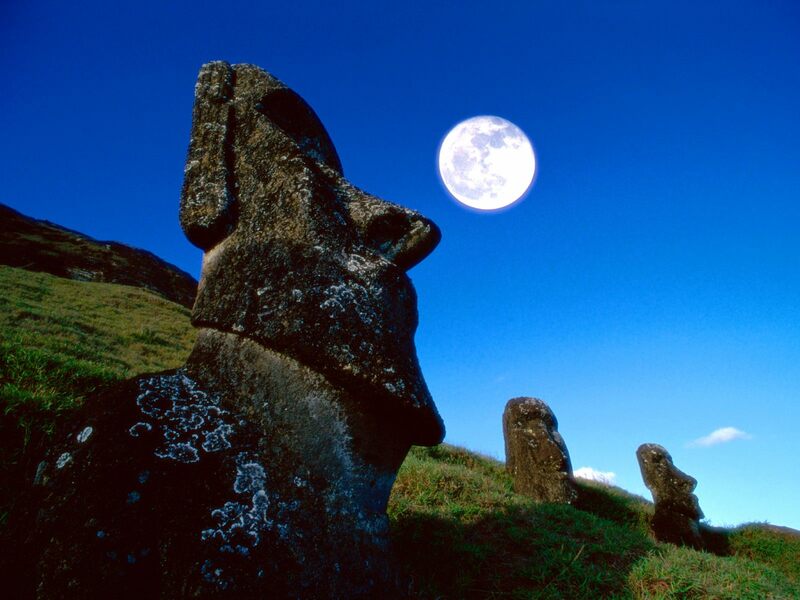 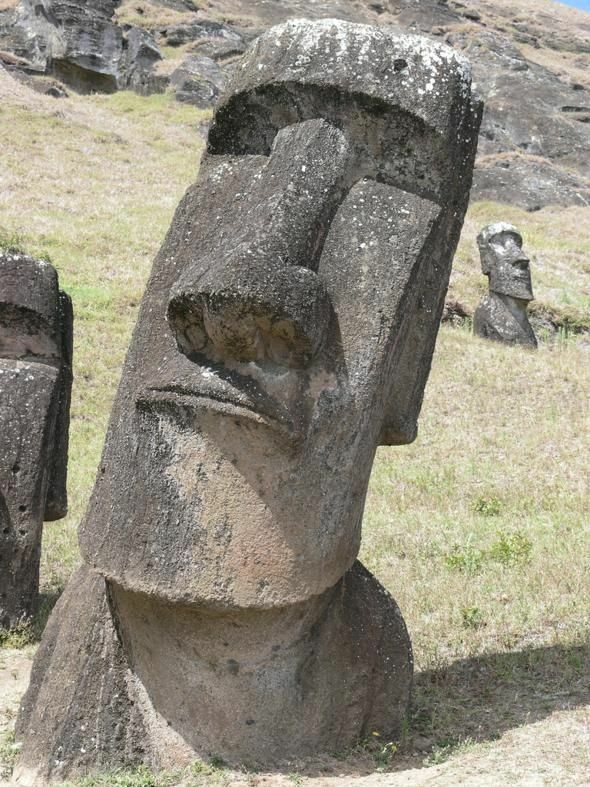 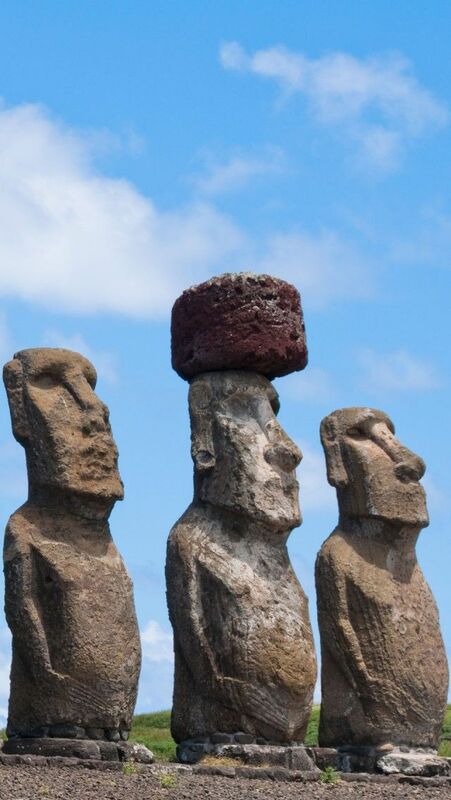 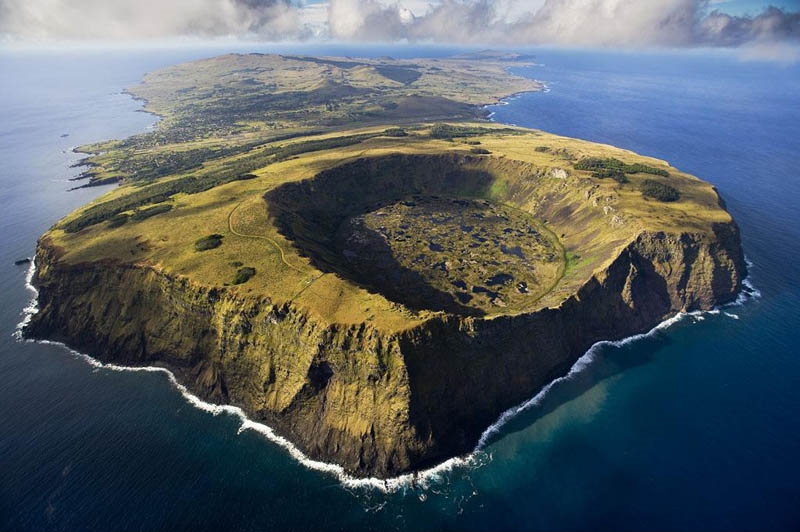 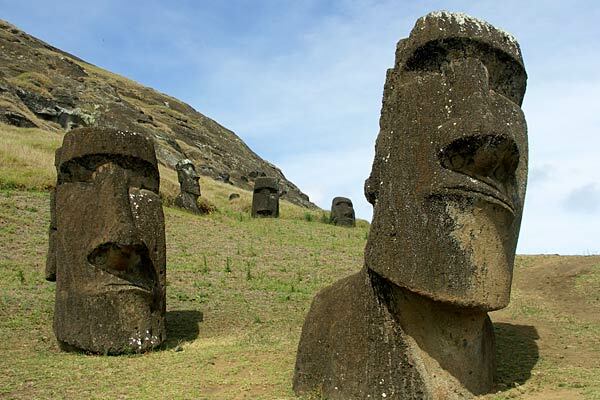 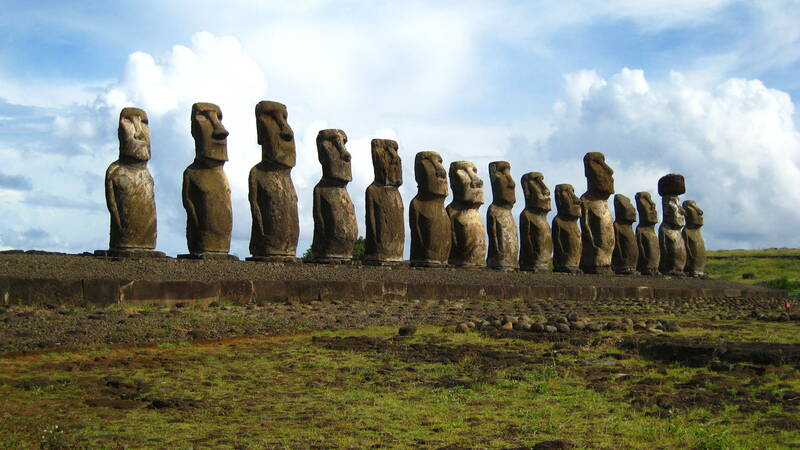 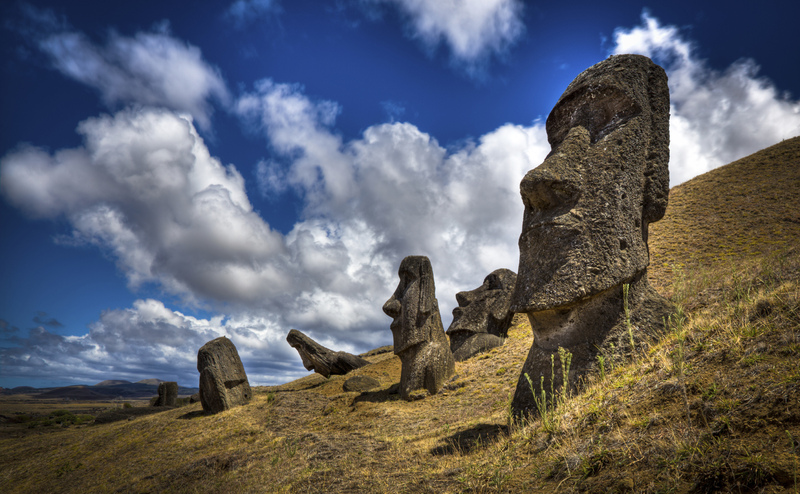 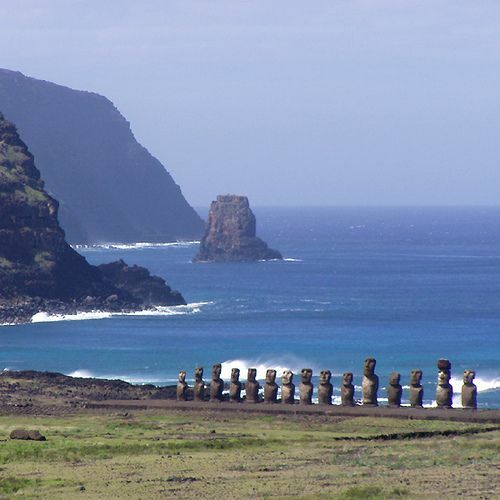 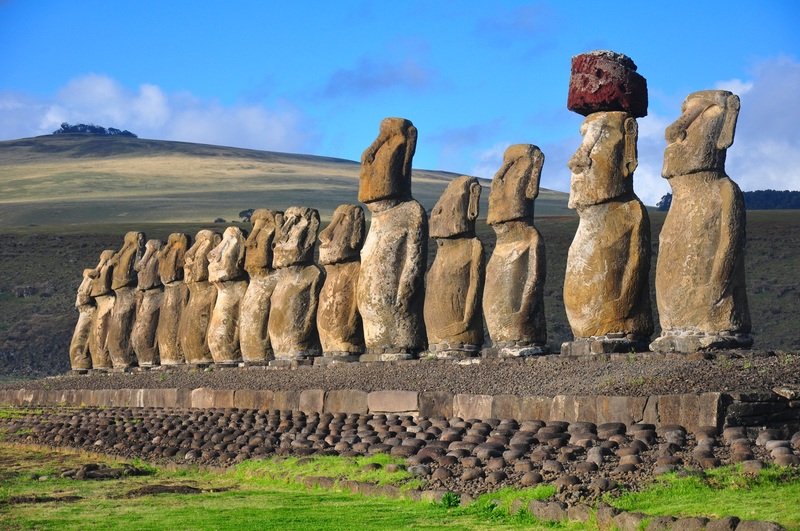 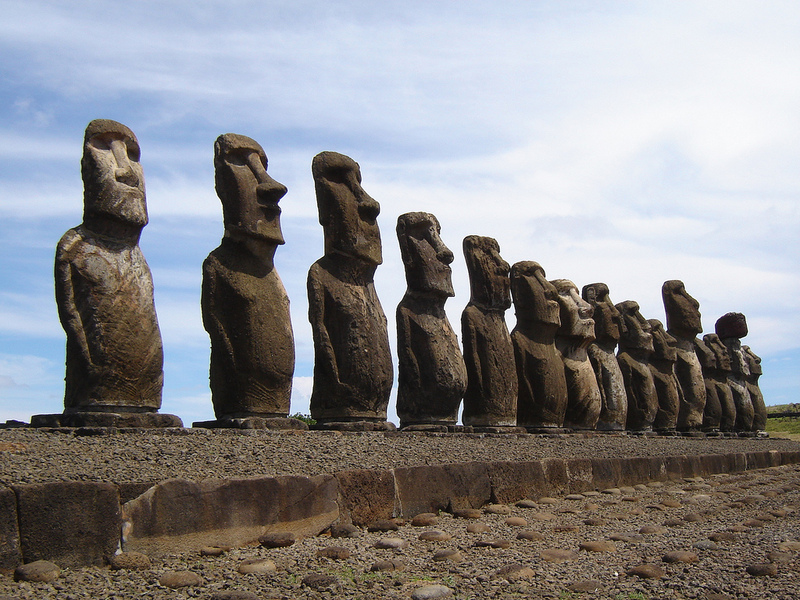 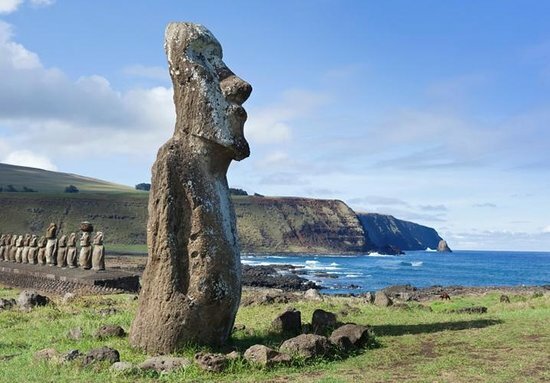 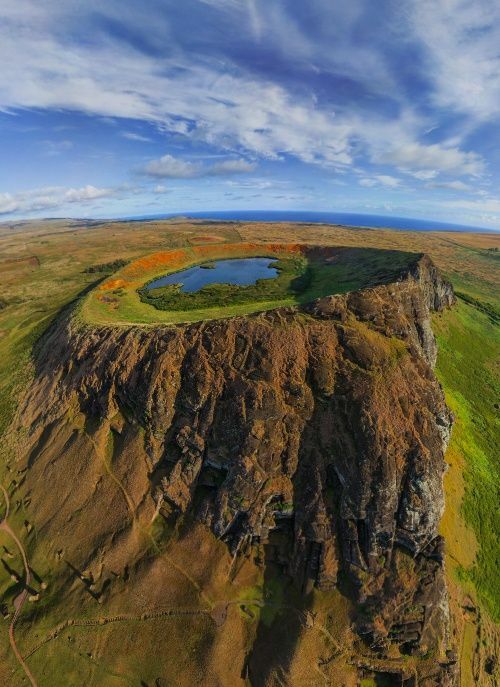 Easter Island was annexed by Chile in the late 19th century. 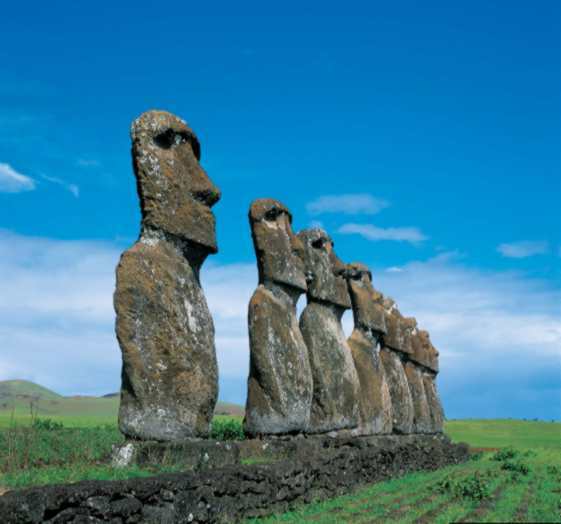 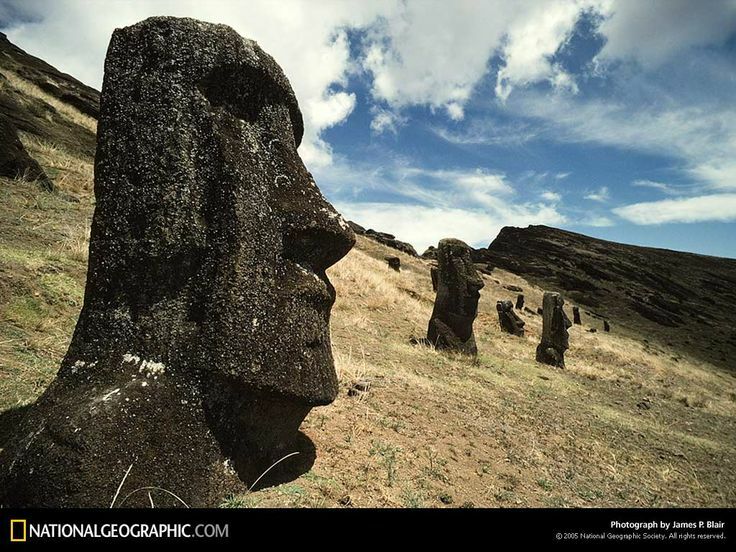 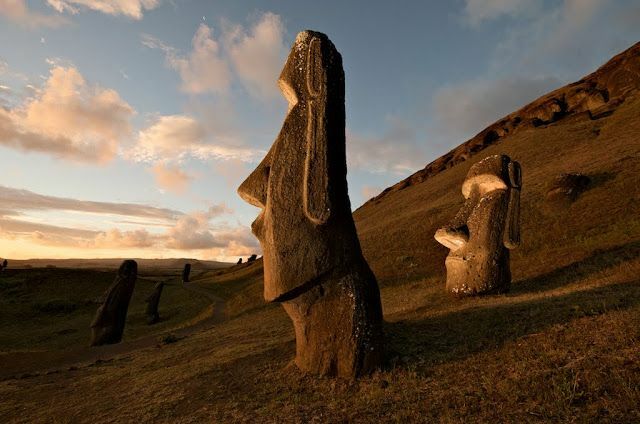 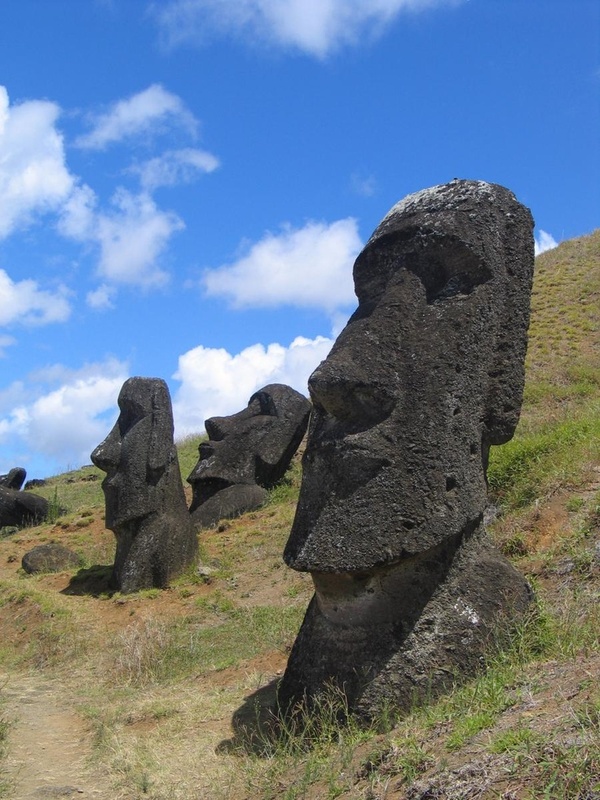 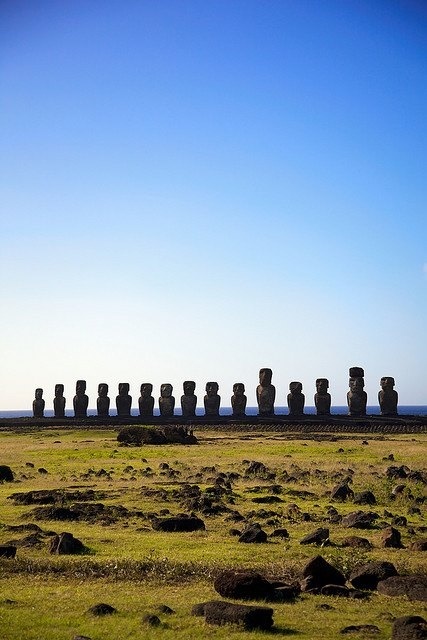 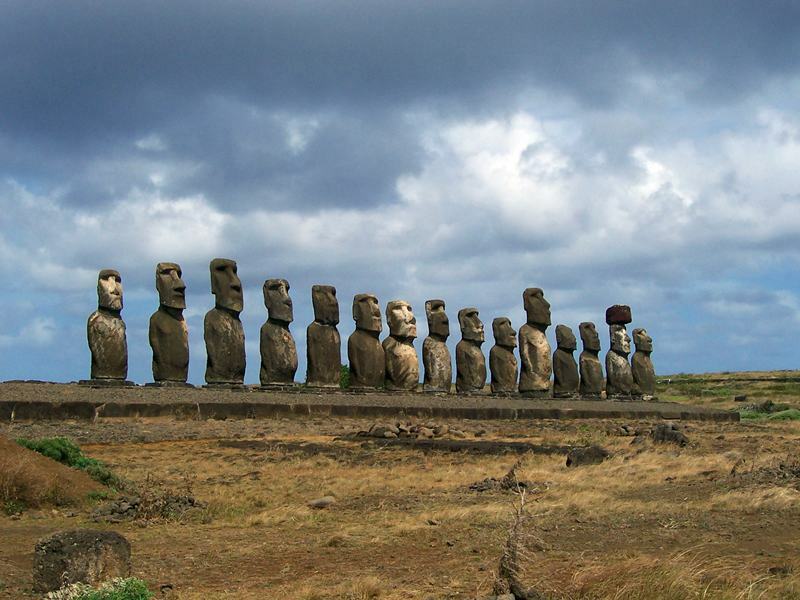 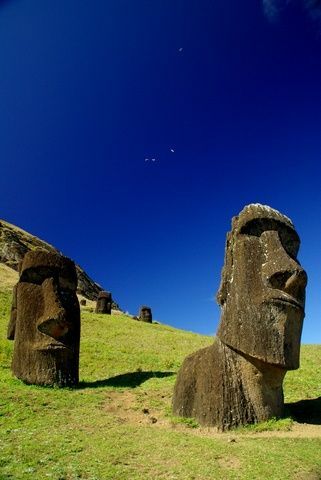 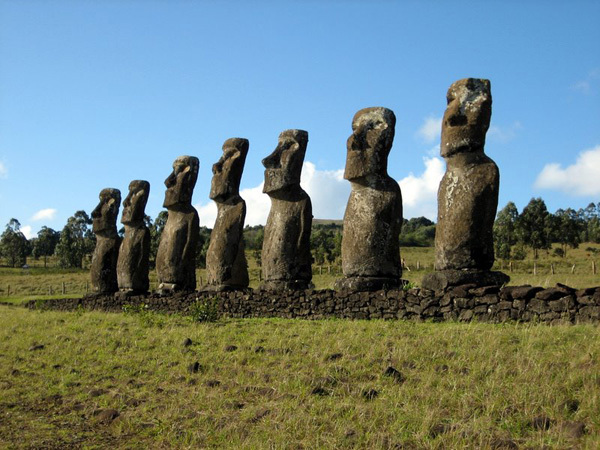 Moai statues stand in the barren landscape of Easter Island.